Depending on the scale and theme of your wedding, decorations are usually one of the biggest things to tick off the to do list. Pinterest gives us ample inspiration for the dreamiest of wedding settings – which usually means losing several hours of the day. With so much choice, settling on all the personal details can be a minefield, especially when trying to choose between traditional conventions or breaking with them. But for those who love nature and hate unnecessary excess, thinking green may be your guide. Not just for the eco-conscious couple, a greener mindset can actually help to simplify your wedding plans, be potentially more cost effective and enhance the feel good factor on the day. 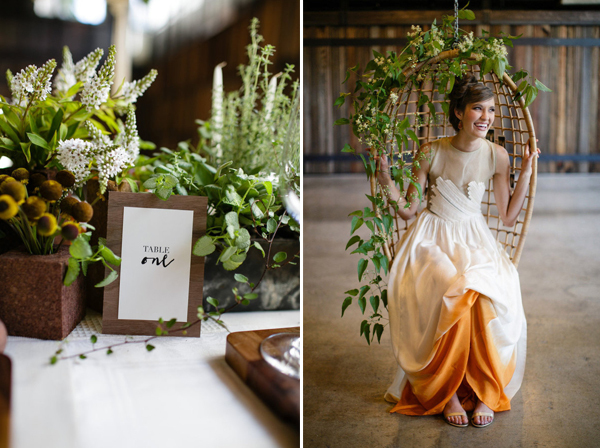 What’s more, greenery is the Pantone colour of the year, so there’s no better time to explore how a greener wedding can look pretty damn good. 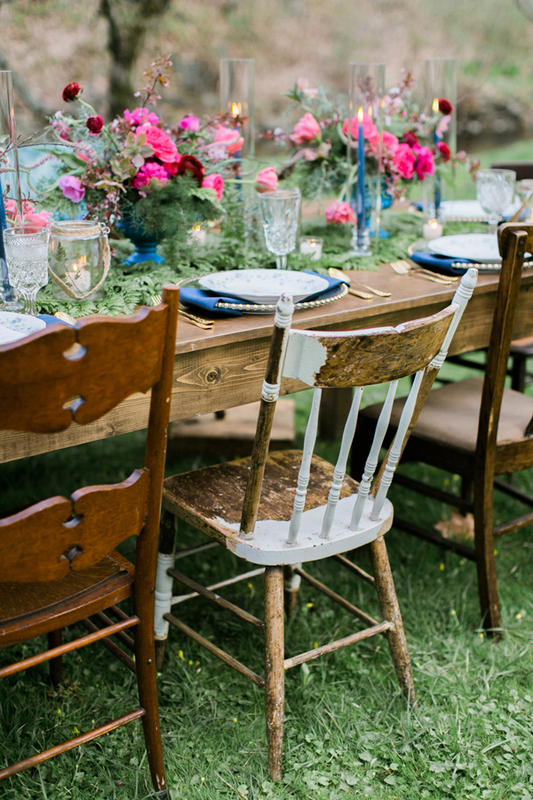 The ‘worn in’ look is still a very much desired aesthetic for the modern rustic wedding, perfectly illustrated by the mismatched chairs at this charming woodland wedding in New Jersey. When it comes to furniture, lighting, accessories and props, hiring reusable items instead of buying new wherever possible is the greenest way to go – and the more locally you can source it the better. It’s also worth checking sites like Gumtree, Freecycle, Preloved* and eBay. Newlyweds in your area might be giving away used items such as vases, candleholders or glasses which they bought for their own weddings. After the event, you can resell them or pass them on to someone else. For hiring vintage furniture, accessories and props in the UK, try Rustic Hire, Bath Vintage Hire and Virginia’s Vintage Hire. If those crisp white tablecloths are a little too formal for your taste, consider linens made from natural fibres for your tables. 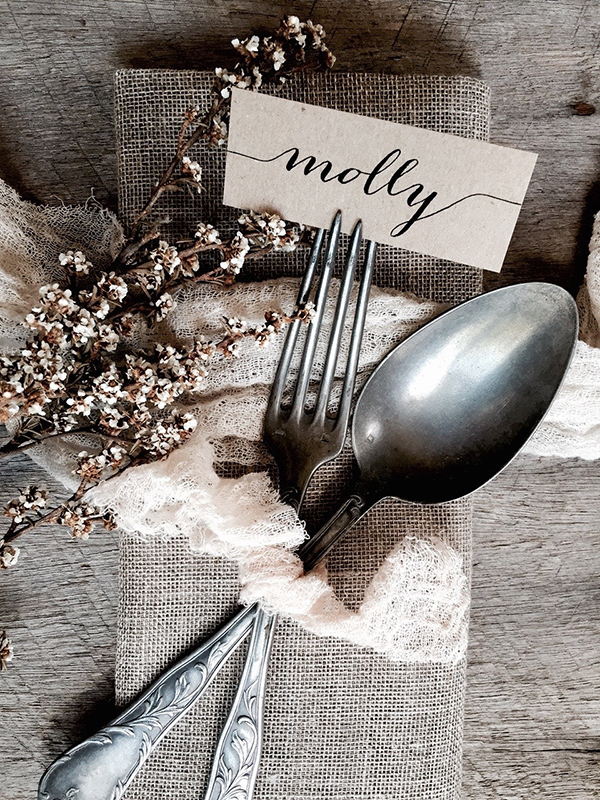 Runners and napkins made from hessian, hemp or pure linen are the perfect accompaniment to rustic natural wood tables, vintage tableware and candles. Add some seasonal flowers and green foliage for understated country chic. La Pomme et la Pipe* is a beautiful Etsy shop by Paris-based Amanda. 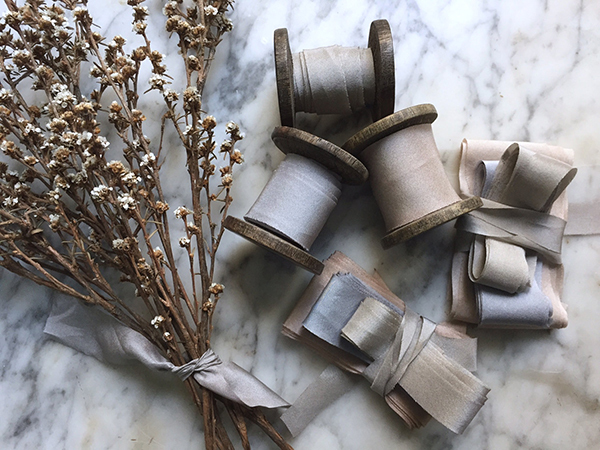 She sells 100% silk ribbon* which is hand dyed using eco-friendly earth pigments, creating beautiful muted colours. Her collection also includes place name cards* made from recycled kraft paper (also pictured above) and handmade cotton rag paper*. In the USA, organic linen and hemp napkins and runners are available for hire at Designs By Hemingway. 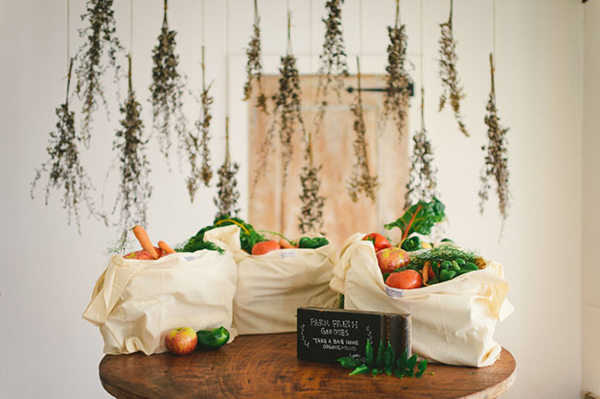 In the UK, you can purchase hessian burlap runners from The Wedding of My Dreams. 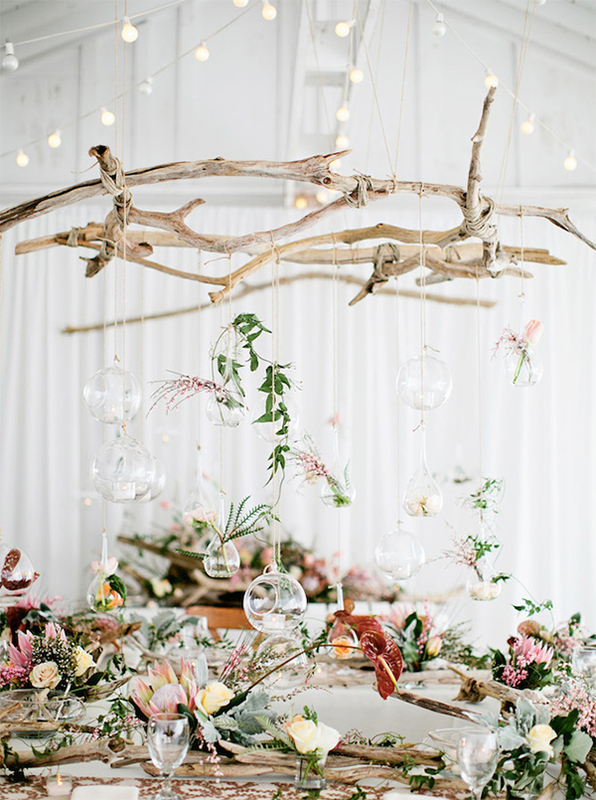 Taking inspiration from a rustic wedding in Nashville, consider suspending branches of driftwood over your tablescape and hang glass terrariums at different heights. Some can be used for tea lights and others as stem vases. Ban disposables including plastic straws and cups wherever possible and hire reusable crockery and cutlery instead. If disposables are absolutely necessary, choose bamboo or biodegradable alternatives – Little Cherry does a wide selection. 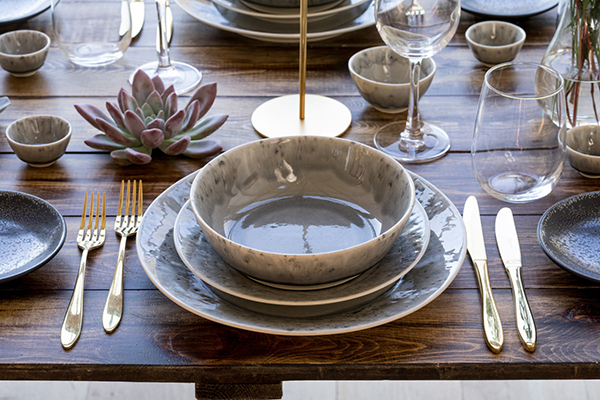 For crockery hire in the UK, try Classic Crockery – Grigio stoneware collection pictured. Paperless options for wedding stationery are increasingly popular. Invitations and Save the Dates can be sent digitally through sites like Paperless Post and Greenvelope*. On the big day, find ways to cut out paper altogether and use eco-friendly options for place cards. Stationery companies that are gentler on the environment include Smock Paper who only prints on bamboo and recycled paper and their printing is powered by wind energy. 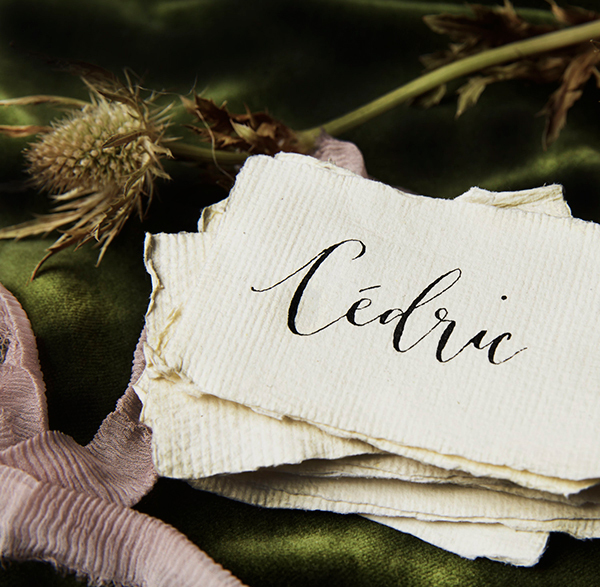 The calligraphy place cards pictured above are made from torn handmade paper by CellarDoorLondon*. For similar in the US try SydneyBethDesigns*. You can also try Bloomin for plantable seeded printed stationery, as well as Etsy sellers like PulpArt* (see ivory plantable sheets pictured above). 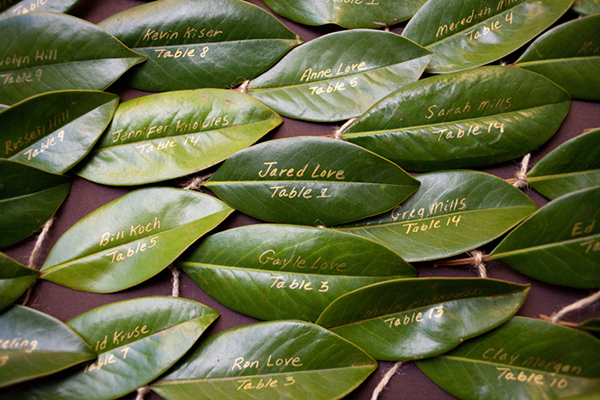 But if you want to take the nature theme one step further, write guests names directly onto leaves, pebbles or sea glass, the latter could be perfect for a coastal themed wedding. 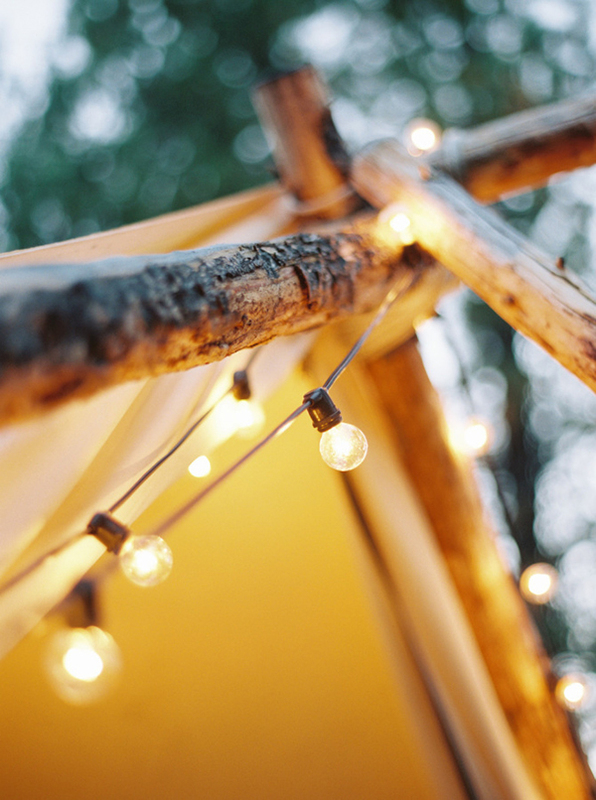 Hosting an outdoor wedding when the weather is fine means you can make the most of the available natural light, but it’s the fairy lights that will really create the magical ambience once darkness falls. 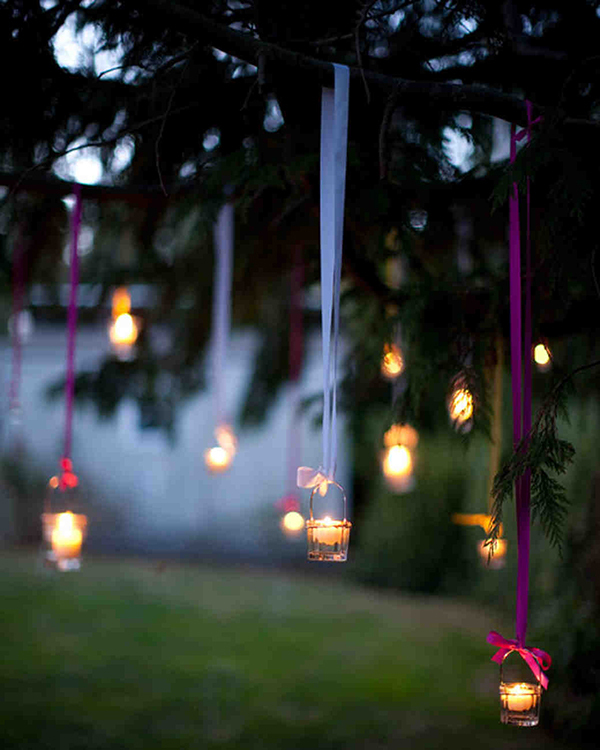 Low energy LED fairy lights will guarantee sparkle both indoors and out. Events held in sunnier climes may be able to use solar powered too, just make sure they have enough charge to last the evening. Depending on the size of your venue, you might also consider a lighting hire company such as Oakwood Events based in the UK. Outdoor areas adorned in hanging mason jar lanterns are another simple and effective lighting idea, as demonstrated at this wedding in Washington. Natural soy wax or bees wax candles are a good eco option in terms of clean burning, but if you’re worried about fire hazards or flames fading quickly, opt for rechargeable LED candle lights. Cheaply made, gimmicky wedding favours run the risk of being left behind, unused and ultimately ending up in landfill. Something edible (and delicious) however is much more likely to be taken home and consumed. Whether it’s macarons, jars of jam, boxes of fudge – sweet things rarely fail to delight. And, if you’re feeling brave, you could even have a go at making them yourself. Seasonal and local foods will lower the carbon footprint and if they can be sourced from somewhere near the wedding venue – even better. 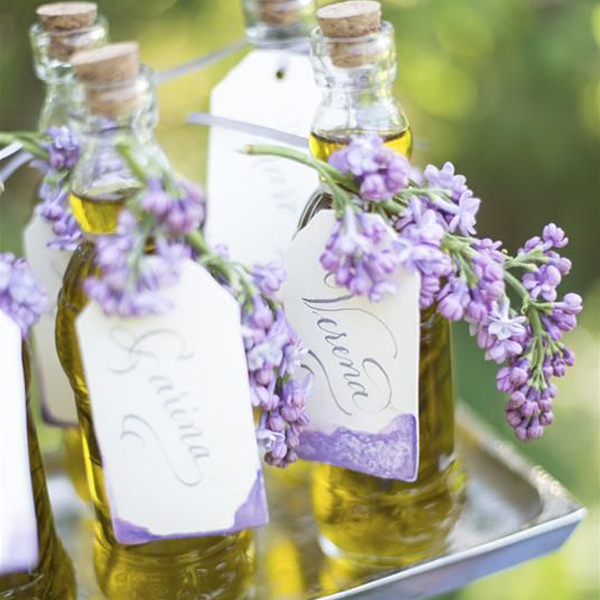 Bottles of olive oil or limoncello are perfect for a Tuscan wedding, for example. Other natural options for favours include plantable seeds (see these personalised ones from Wedding in a Teacup), miniature herb plants or succulents. If you’re based in Australia – be sure to check Flourish Bomboniere who specialise in plants as favours. This eco-conscious couple featured on Green Wedding Shoes had their wedding at a farm located one hour from NYC. They treated guests to bags of fresh fruit and veg grown on the farm, in reusable organic cotton totes. A little bulky we’ll admit, but delicious food and a trip to the grocery store saved, might just be the perfect wedding hangover cure. This very cute and rustic homemade granola idea comes from Evermine Weddings, but the presentation could be adapted for a number of different foods. 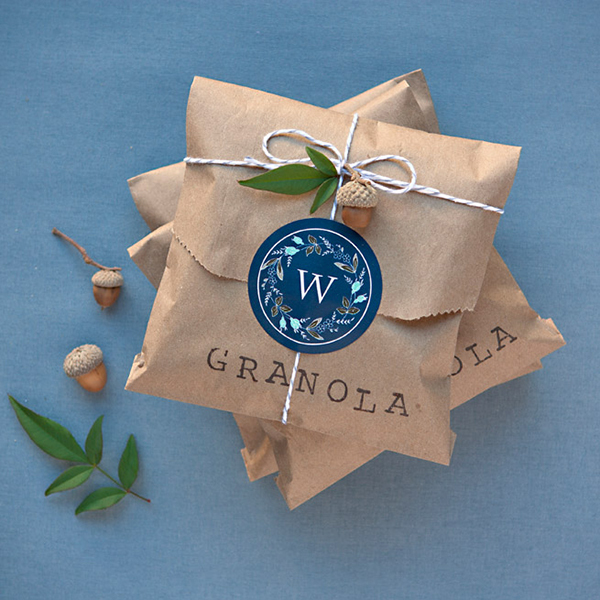 Fun and easy to make, you just need recyclable paper bags, twine, monogram stickers and an alphabet stamp set. Simply embellish with a sprig of foliage. For something extra indulgent, you could treat your guests to organic scented candles from The Pure Scent which are made of 100% soy wax. They do a special wedding favour service and can take orders of up to 200. To accompany your carefully chosen menu, flowers (and food) should be as locally sourced as possible and in season. 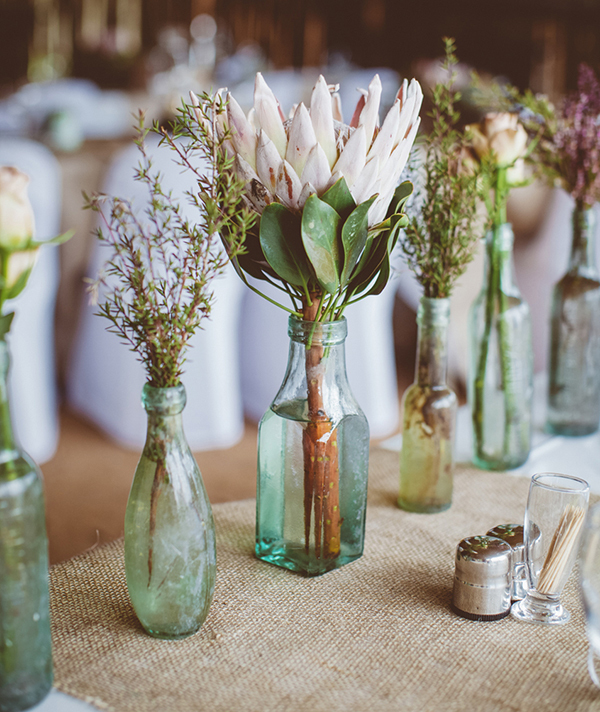 Make your cut flowers go further by putting single stems into recycled glass bottles, as demonstrated at this stunning South African wedding (pictured above). 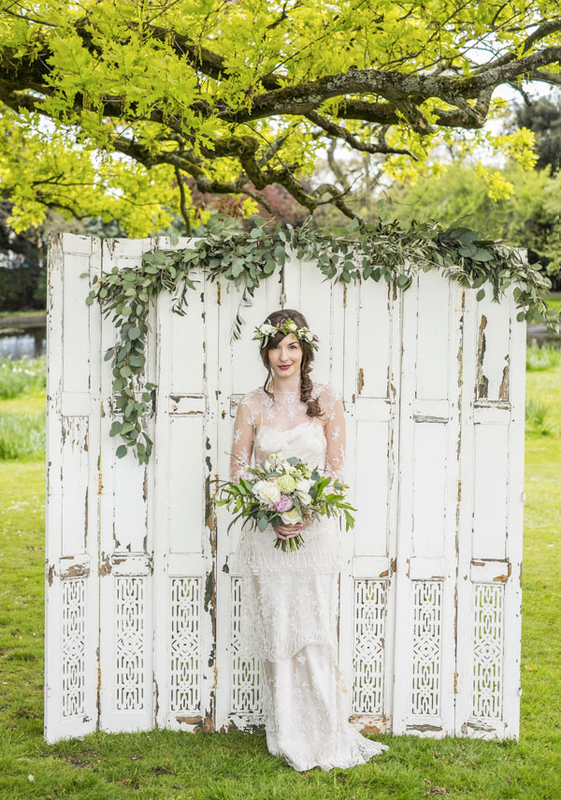 If you’re in the UK, take a look at The Natural Wedding Company which has a fantastic directory not just for British grown flowers, but a whole range of eco conscious wedding brands. US readers can source farm-to-table flowers from Bouqs. 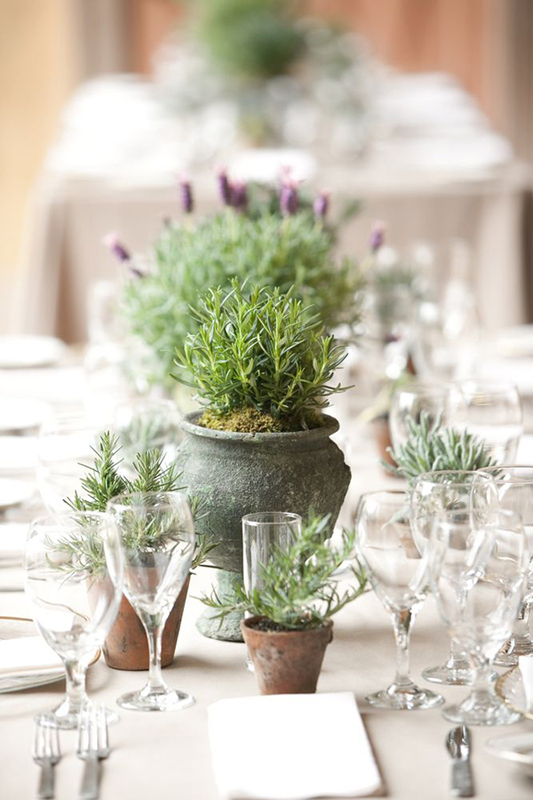 Why not opt for live plants instead of cut flowers to give your wedding table an unconventional twist? Potted plants are more affordable than elaborate cut flowers and can be taken home and planted after the wedding. Terracotta pots create a rustic Provencal feel or reference an English country garden. You can even double up your table decor as wedding favours for guests to take home. 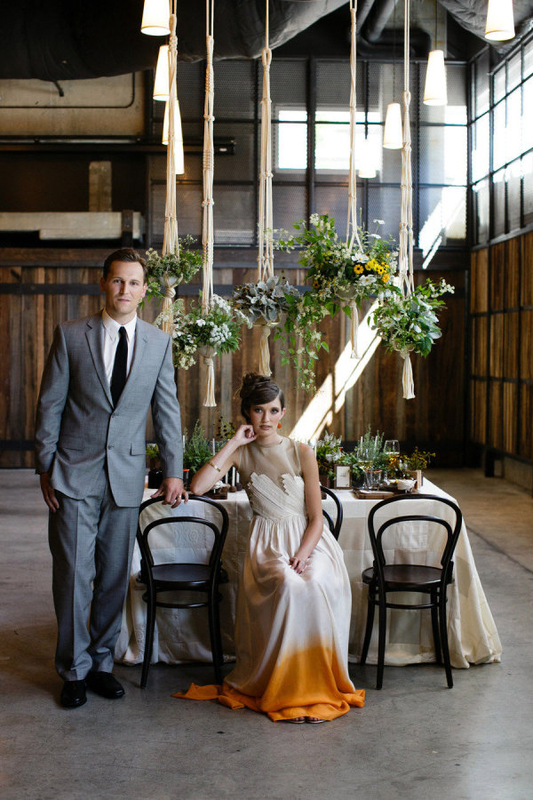 Style Me Pretty featured a beautiful eco wedding in Washington described as ‘eco glam with a rock star vendor list’. 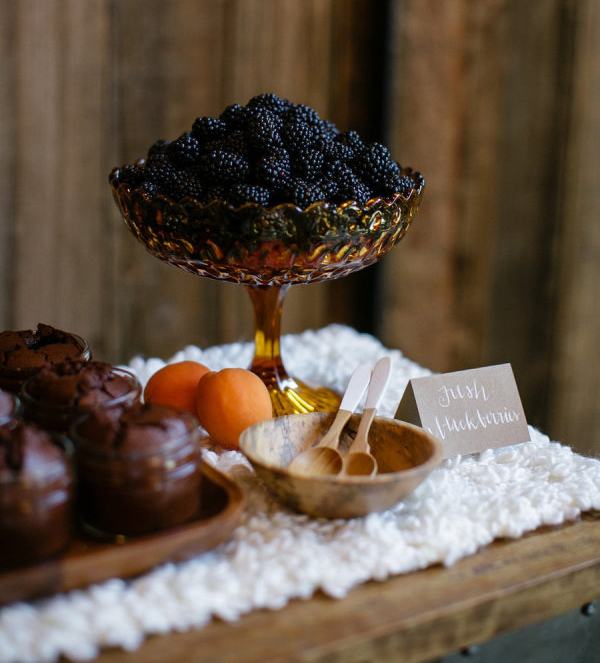 The chic and modern styling by Bow Tie & Bustle combines an industrial setting with boho-style macrame, wood, cork, organic silk, quilted table linen and vintage glass with everything designed to be reused. Cutting boards were used as plates and doubled up as a guest gift. The contemporary feel is also matched with the bride’s dress – a brave break from the norm in bold tie die orange, which complement the orange and mustard accents of the scheme. Instead of printing your table plans, menus and welcome signs, display them on reusable chalk boards or framed glass. 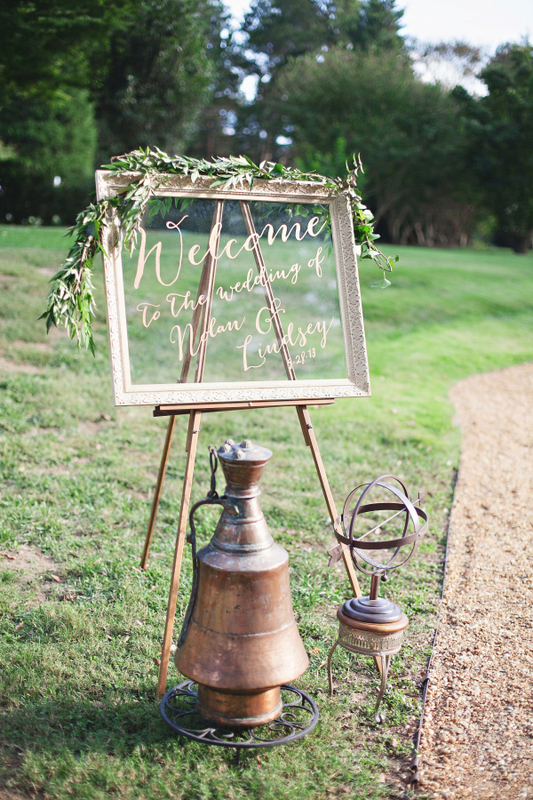 This welcome sign, from a wedding featured on Style Me Pretty is presented on an old easel and styled with some vintage pieces to add to the impromptu feel. For bespoke sign-writing in the UK try Dream a Little. You can also hire chalk boards from various wedding hire companies including Get Knotted and Virginia’s Vintage Hire. 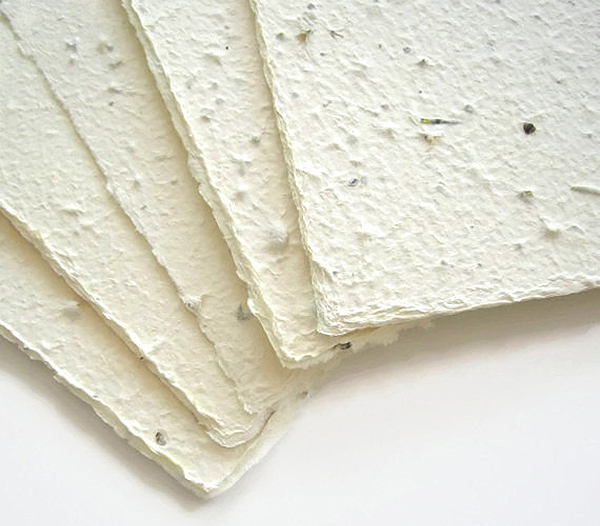 For that all important ‘just married’ moment, choose biodegradable dried petal confetti over paper or synthetic types. Not only will it create the sense of blossom falling from the trees, you won’t be littering the venue! Dried delphiniums are lightweight which means their fall is much easier for photographers to catch. 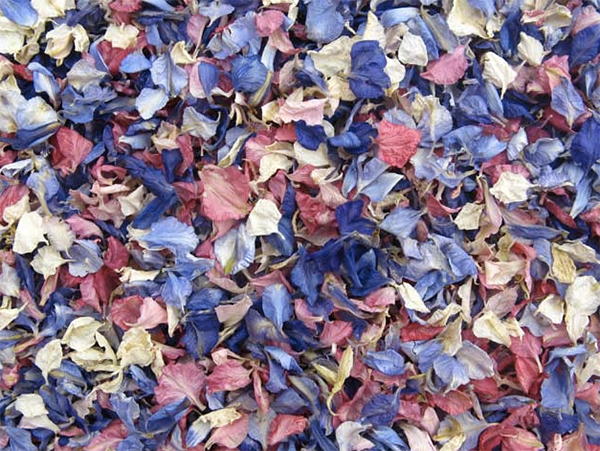 You can purchase a wide range of colours from The Real Flower Petal Confetti Company, Essex Bridal Flowers or Shropshire Petals who have also created a confetti calculator to work out how much you need. One way to save on decorations is to choose a venue that looks so stunning, there’s no real need to add anything. A lot of this will depend on how exotic the location can be. We all know how much an outdoor wedding in the UK is one heck of a gamble. 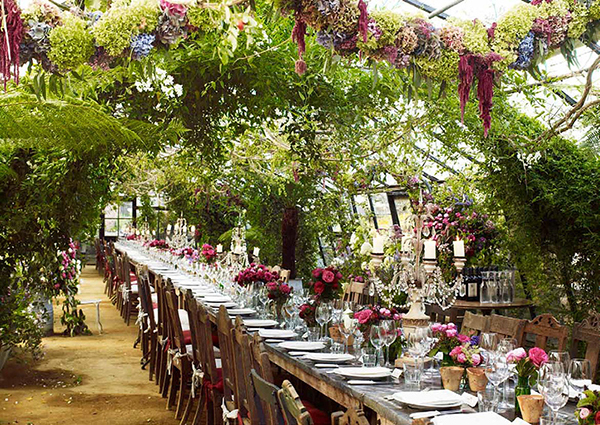 Nonetheless, somewhere like Petersham Nurseries in Surrey provides an instantly magical botanical setting. Even for a more urban wedding, consider a rooftop bar or terrace and create ‘Sleepless in Seattle’ romance by making the most of the twinkling lights of the metropolis below. 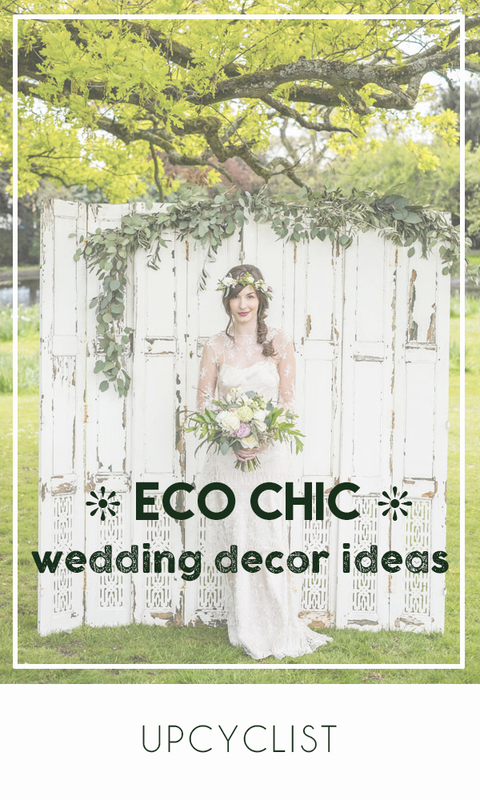 Have you found some stylish eco alternatives for wedding decorations? Tell us your tips and ideas – we’d love to hear them! Want to pin this post? Here you go!